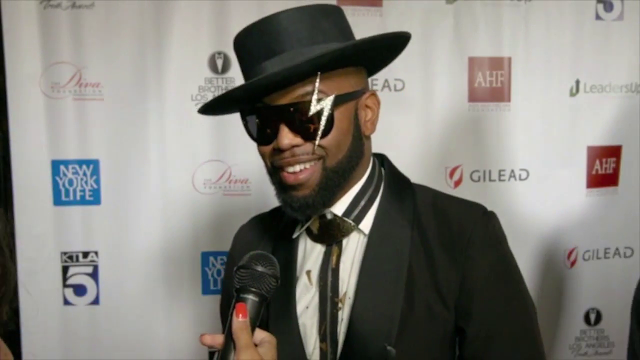 This past March 5th, B.Slade honored Bishop Yvette Flunder at the 2nd Annual Truth Awards, presented by Better Brothers Los Angeles and The DIVA Foundation. The Truth Awards, (which honored B.Slade last year at its inaugural ceremony with the Courage Award) in their words, "represents an unprecedented opportunity to highlight the contributions of the Black LGBTQ community and [their] allies." Author Tensie Taylor of RichGirlNetwork.TV spoke with B.Slade on the red carpet of the event. B.Slade then went on to honor Bishop Flunder by singing the iconic song, Walter Hawkins' "Thank You Lord", which was Bishop Flunder's solo song on the classic album, "Love Alive IV". Check out the interview above and leave your comments!